Whole Genome Sequencing And Mycobacterium Tuberculosis: Are We Unleashing Its Full Potential? Whole genome sequencing (also known as WGS) is the process of determining the complete DNA sequence of an organism’s genome at a single time. This can also be seen as deciphering the whole genetic code of an organism and the genetic basis of diseases. In the past, WGS has been largely been used as a research tool, but its applications are currently making their way into clinics. In this article, we will analyze the impact that WGS is having on the diagnosis, management, and research of a very common infectious disease, tuberculosis (TB). TB is an infectious disease caused by bacteria of the Mycobacterium tuberculosis complex (of which M. tuberculosis is the most common human pathogen). TB generally affects the lungs (pulmonary TB), but every organ can be infected, in particular, the central nervous system, lymphatic system, kidneys, spleen, and bones. TB is generally a treatable disease but it requires a prolonged course of at least 3 antimicrobial drugs, for a minimum of 6 months. However, the increasing rates of drug resistance are worrying and they limit a successful outcome. Traditionally, the diagnosis is made through radiological imaging and traditional microscopy and culture of clinical samples, although it can take months to have positive culture results due to the slow growth of this bacterium. In 2017, England became the first country in the world to introduce and pioneer the use of WGS on a national scale for the diagnosis, detection of drug resistance and typing of M. tuberculosis and other countries may follow soon (Netherlands and Norway). Nearly two decades after the complete genome sequence of M. tuberculosis (Cole, 1998), WGS has been applied to a vast range of clinical scenarios, with the potential to revolutionize the diagnosis, outbreak investigations, drug and vaccine development, and an overall better understanding of M. tuberculosis evolution and its pathogenicity. Extensive work on WGS and susceptibility testing has been led by the Wellcome Trust/University of Oxford (and collaborators), with successful demonstration that this approach can be integrated into routine diagnostic workflows, with data generated within 9 days (weeks in advance compared with traditional susceptibility methods) and at a price 7% cheaper than the present diagnostic workflows (Pankhurst, 2016). Researchers from University College London have also demonstrated that it is possible to perform WGS directly from clinical samples (Brown, 2015). There are still some limitations and various teething problems, but WGS has the potential to revolutionize the diagnosis of tuberculosis in both high- and low-income countries and the results of long years of research are finally paying off. WGS clearly has a role in public health interventions and in the detection of outbreaks and transmission events from one patient to another. Several studies have confirmed the higher resolution compared to other more traditional typing methods (Roetzer, 2013 and Török, 2015). The recent application of WGS has allowed a better understanding of M. tuberculosis evolution and, in particular, the discovery of its origin in M. canettii, first described in 1969 and now considered the progenitor species from which M. tuberculosis emerged in the Horn of Africa (Blouin et al., 2014). The complete genome of M. tuberculosis includes 4 million base pairs and 4000 genes. However, up to 50% of these genes are still labeled as unknown, uncharacterized, or with hypothetical function (Mazandu. 2012). WGS analysis should support us in unveiling the real role in the virulence and pathogenicity of these genes, as illustrated in a recent paper exploring the genetic variation of a sub-cluster of the London TB outbreak (Satta, 2016). WGS has the potential to revolutionize the process of drug target identification and has been successfully used for the identification of the target of a new drug, Bedaquiline (former TMC207 and R207910) (Andries, 2005). Finally, understanding bacterial pathogenesis is expected to provide an instrumental contribution to vaccine development, particularly to target those pathogens (such as M. tuberculosis) for which the traditional approaches have thus far failed (Scarselli, 2005). WGS has undoubtedly allowed us a better understanding of M. tuberculosis, in particular, its epidemiology and evolution. It has also the potential to revolutionize susceptibility testing in the routine microbiology laboratory. 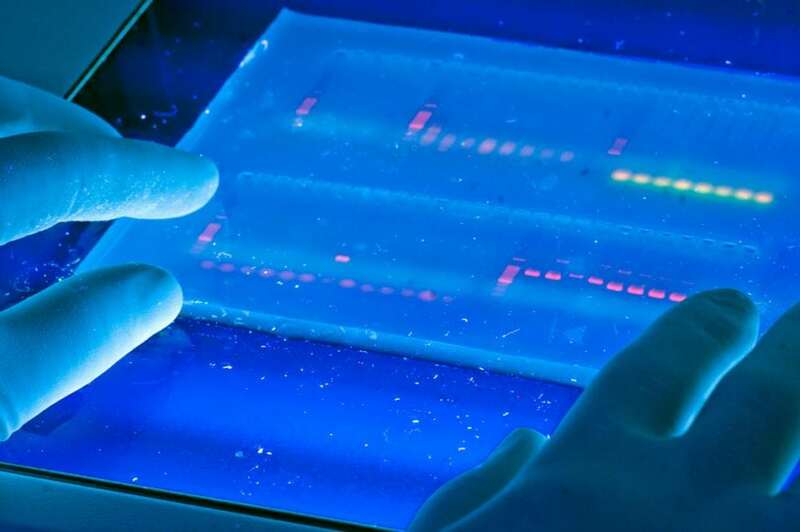 With the cost of sequencing likely to continue to decrease and the capabilities of sequencing technologies to improve, the number of clinical and research laboratories implementing it will increase, as the number of trained scientists able to interpret the data. However, there are still some limitations to overcome but we are confident that researchers around the world will take up the challenge. These findings are described in the article entitled Mycobacterium tuberculosis and whole-genome sequencing: how close are we to unleashing its full potential? recently published in the journal Clinical Microbiology and Infection. This work was conducted by G. Satta (University College London, Imperial College), M. Lipman (University College London, Royal Free London NHS Foundation Trust), GP Smith (Public Health England, Heart of England NHS Foundation Trust), C. Arnold (University College London, Public Health England), OM Kon (Imperial College), and TD McHugh (University College London). 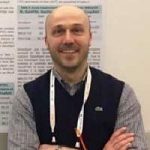 Dr. Giovanni Satta is a Consultant in Infectious Diseases and Medical Microbiology at Imperial College Healthcare (London) and Research Fellow at University College London (UCL), Centre for Clinical Microbiology. Cole ST, Brosch R, Parkhill J, Garnier T, Churcher C, Harris D, et al. Deciphering the biology of Mycobacterium tuberculosis from the complete genome sequence. Nature. 1998;393(6685):537-44. Pankhurst LJ, del Ojo Elias C, Votintseva AA, Walker TM, Cole K, Davies J, et al. Rapid, comprehensive, and affordable mycobacterial diagnosis with whole-genome sequencing: a prospective study. The Lancet Respiratory Medicine. 2016;4(1):49-58. Brown AC, Bryant JM, Einer-Jensen K, Holdstock J, Houniet DT, Chan JZM, et al. Rapid Whole-Genome Sequencing of Mycobacterium tuberculosis Isolates Directly from Clinical Samples. Journal of Clinical Microbiology. 2015;53(7):2230-7. Roetzer A, Diel R, Kohl TA, Rückert C, Nübel U, Blom J, et al. Whole Genome Sequencing versus Traditional Genotyping for Investigation of a Mycobacterium tuberculosis Outbreak: A Longitudinal Molecular Epidemiological Study. PLOS Medicine. 2013;10(2):e1001387. Török ME, Reuter S, Bryant J, Köser CU, Stinchcombe SV, Nazareth B, et al. Rapid Whole-Genome Sequencing for Investigation of a Suspected Tuberculosis Outbreak. Journal of Clinical Microbiology. 2013;51(2):611-4. Blouin Y, Cazajous G, Dehan C, Soler C, Vong R, Hassan MO, Hauck Y, Boulais C, Andriamanantena D, Martinaud C, Martin É, Pourcel C, Vergnaud G. Progenitor “Mycobacterium canettii” clone responsible for lymph node tuberculosis epidemic, Djibouti. Emerg Infect Dis. 2014 Jan;20(1):21-8. Mazandu GK, Mulder NJ. Function Prediction and Analysis of Mycobacterium tuberculosis Hypothetical Proteins. International Journal of Molecular Sciences. 2012;13(6):7283-302. Satta G, Witney AA, Shorten RJ, Karlikowska M, Lipman M, McHugh TD. Genetic variation in Mycobacterium tuberculosis isolates from a London outbreak associated with isoniazid resistance. BMC Medicine. 2016;14(1):117. Andries K, Verhasselt P, Guillemont J, Göhlmann HWH, Neefs J-M, Winkler H, et al. A Diarylquinoline Drug Active on the ATP Synthase of Mycobacterium tuberculosis. Science. 2005;307(5707):223-7. Scarselli M, Giuliani MM, Adu-Bobie J, Pizza M, Rappuoli R. The impact of genomics on vaccine design. Trends in Biotechnology. 2005;23(2):84-91. Dr Giovanni Satta began his medical training in Italy before coming to the UK to study at the London School of Hygiene and Tropical Medicine. He undertook specialist training in both infectious diseases and microbiology/virology and he completed the majority of his UK training at the Royal Free Hospital. He worked as a consultant at the North Middlesex Hospital before moving to Imperial College Healthcare NHS Trust in 2015.